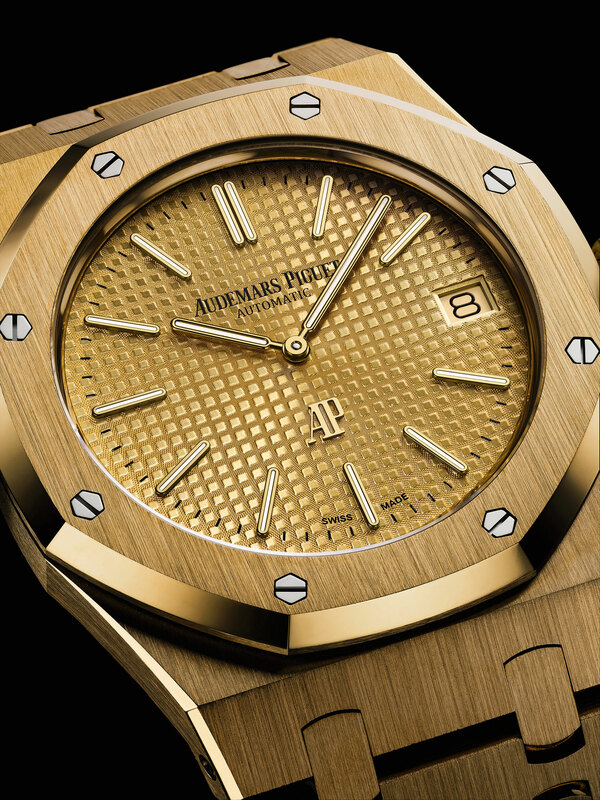 Last year Audemars Piguet unveiled a slew of Royal Oak watches in yellow gold, with a notable omission, the Royal Oak Extra-Thin “Jumbo”. As the Royal Oak marks the 40th anniversary of the first yellow gold model of 1977, that has now been rectified with a pair that will make their debut at SIHH 2017. 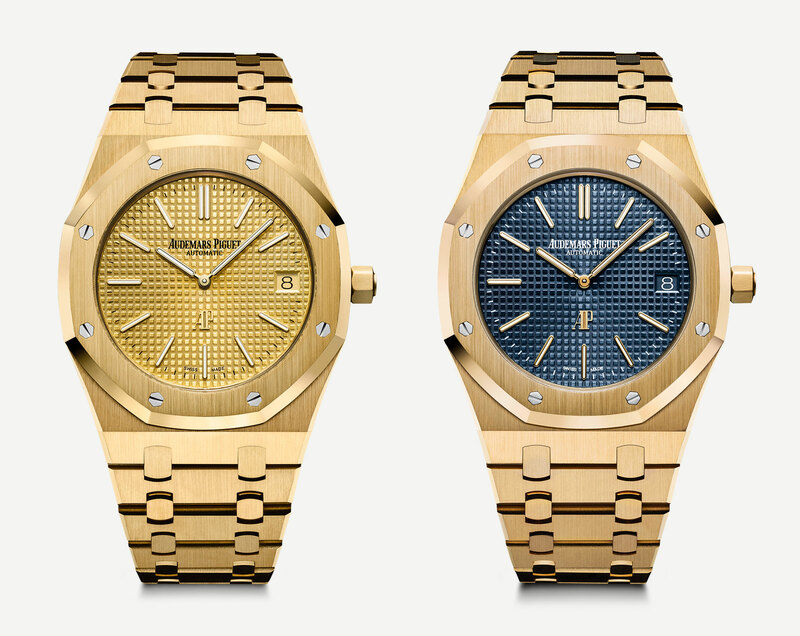 The new Royal Oak Extra-Thin watches in 18k yellow gold join the 50-piece limited edition made for Singapore retailer The Hour Glass last year, with both the case and bracelet in yellow gold. While the version for The Hour Glass had a green dial, the two new additions to the collection are in dark blue and yellow gold respectively. Both dials are finished in the traditional style of the Royal Oak, decorated with Petite Tapisserie guilloche and featuring yellow gold applied markers and hands. The case diameter is 39mm, the exact same diameter as the 1977 original “Jumbo”, though the sapphire display back means the modern iteration is slightly thicker than the solid back original. But the movement inside remains the 2121, the slim, self-winding calibre originally developed by Jaeger-LeCoultre but now made by Audemars Piguet. 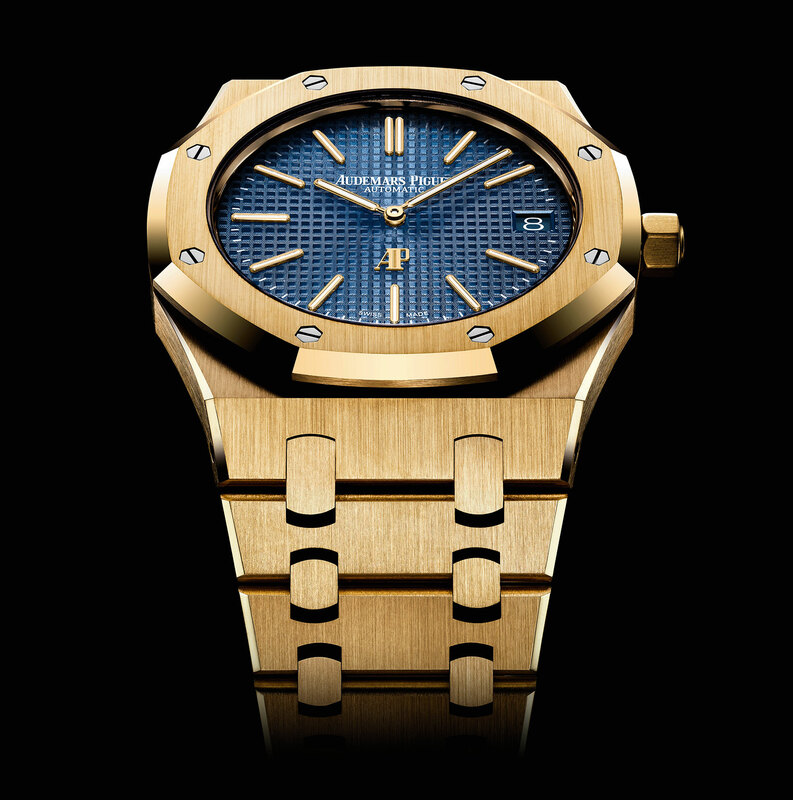 The Royal Oak Extra-Thin in yellow gold with a blue dial is the ref. 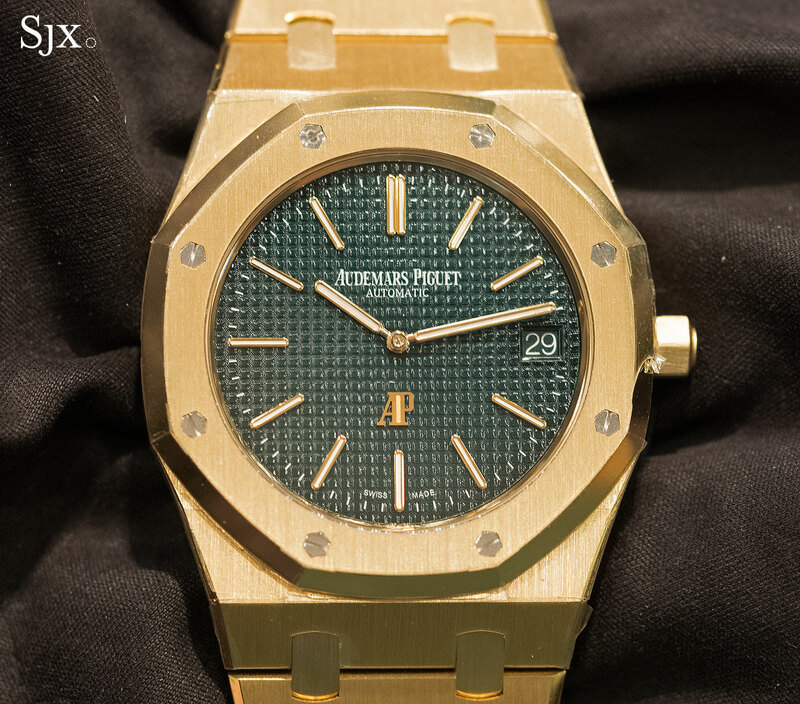 15202BA.OO.1240BA.01, while the same with a matching yellow gold dial is the ref. 15202BA.OO.1240BA.02. Both are priced at US$55,400. 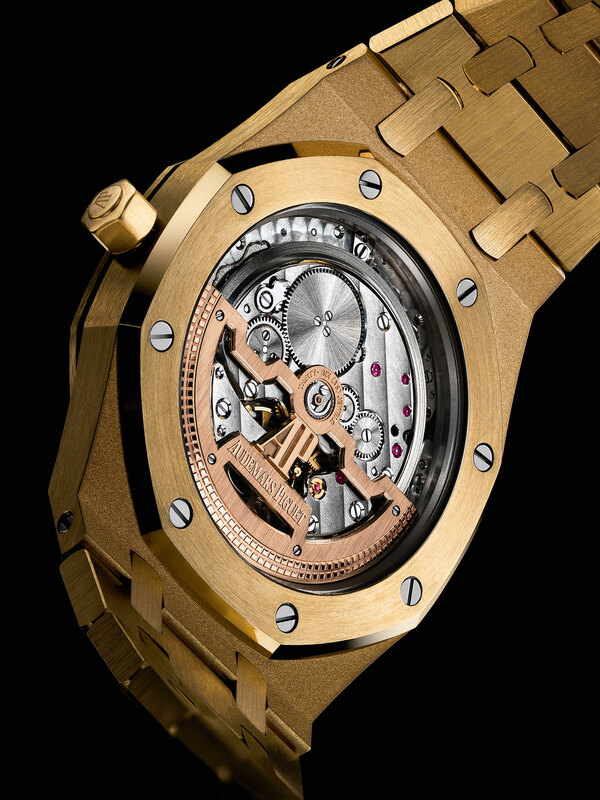 The only Royal Oak Extra-Thin in yellow gold is a limited edition of just 50 pieces. We take a look, with original photos and pricing.